A stunning picture of a Supermarine Spitfire, trailing smoke, having engaged a Luftwaffe Heinkel HE111 bomber in 1940 during the historic Battle of Britain. For more on the Spitfire have a look at RJ Mitchell: Legend of the Spitfire. Recounts the extraordinary achievements of one of Britain’s greatest aviation legends, the man responsible for creating Britain’s most iconic fighter aircraft, the Supermarine Spitfire. The book gives the reader an insight into the life of RJ Mitchell, his role in the prestigious Schneider Trophy air-races and the development of the astonishing aircraft that he created, including the Supermarine S4 and the Spitfire. The book goes on to explore the aircraft that evolved from the Spitfire, including the Seafire, Spiteful and Seafang, as well as the Spitfire on the silver screen, recounting its role in a number of classic British war films. 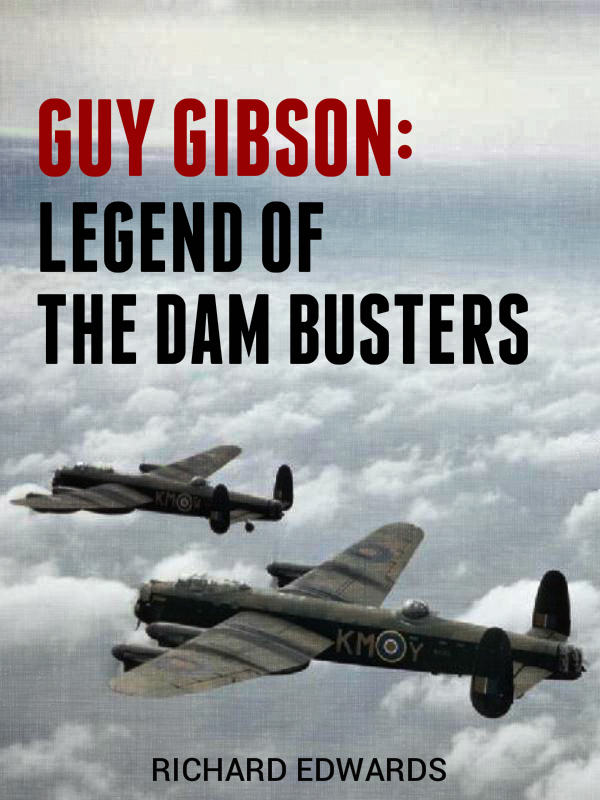 Guy Gibson: Legend of the Dam Busters by Richard Edwards is a new ebook that tells the dramatic story of a renowned British flying legend and his leadership of Bomber Command’s infamous raid on the Ruhr dams in May 1943. The book looks at the development of the bouncing bomb and the intense wrangling within the RAF that almost stopped it from getting off the drawing board. It also reveals the truth behind the mysterious air crash that one year later cost Gibson his life, including why the RAF chose to keep the actual cause of the crash a secret. © Copyright Richard Edwards 2018.